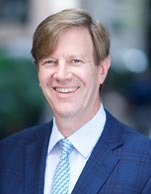 Mr. Hatfield is co-founder and President of Infrastructure Capital Advisors, LLC. He is also a Co-founder and general partner of NGL Energy Partners, LP, a NYSE-listed master limited partnership. At ICA, he is Portfolio Manager of InfraCap MLP ETF and a series of hedge funds. Prior to forming the firm, he was a portfolio manager at SAC Capital Advisors (now Point72 Asset Management). Before joining SAC, he was Managing Director and Head of Fixed Income Research at Zimmer Lucas Partners, a hedge fund focused on the energy and utility sectors. Earlier in his career, he was Head of Global Utility Investment Banking at CIBC/Oppenheimer and a Principal in the Global Power & Utilities Investment Banking unit at Morgan Stanley & Co. He began his career as a CPA at Ernst & Young. He holds an MBA from the Wharton School at the University of Pennsylvania and a BS from the University of California at Davis.